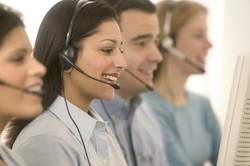 Service and support organizations are more efficient when they have access to knowledge in order to assist customers. With this knowledge, service and support can be made more effective, products can be improved, and customer experience can be enhanced. Problems are solved once and customer support agents don’t have to repeat the work that others have already done or bother escalation teams with already known issues. When customers are able to find answers to their questions in company's knowledge base system, they are able to help themselves. If customers can use self-service to receive help on topics, this enables customers' call deflection. Effective self-service would remove case load that is low value to the enterprise or an irritant to customers. This saves money and makes customers happier which in turn nurtures customers' loyalty. Unfortunately, it is almost impossible to receive these benefits if knowledge management processes are not established and knowledge base is not optimized. In this case, support organizations have difficulties finding answers and solutions to customer's queries and are not able to efficiently serve them. Customers get frustrated when they can't find answers to their questions. In many cases, they may not even call customer support. They may either abandon a product or go to another provider. We will design and implement solutions to ensure that you service and support organizations are efficient and your customers receive excellent quality service either from your customer support organization or by self-service on your website.